Weddings are joyous occasions. Whether large or small, elaborate or simple, weddings are one of life’s great celebrations as two people come together and commit their lives to one another. There are excesses, to be sure. Bridezillas do exist, and people can spend exorbitant amounts of money on weddings–$50-100,000 hardly elicits a raised eyebrow anymore. But, lest we think that is the result of our modern, commercialized wedding industry, it’s important to remember that big weddings are nothing new. Back in the first century, it was common for a wedding to last an entire week. Seven days was the Jewish custom—seven days of feasting, drinking, dancing, missing work, and partying with family and friends—all to celebrate the marriage of a new couple. In John chapter 2 we encounter Jesus, his mother and his disciples as they are in attendance at a wedding. We’re not told who the bride and groom are, or how Jesus knows them. But obviously Jesus felt it was important to be present for this event and to spend time celebrating with people he cared about. And that tells us a lot about the Kingdom of God. The wedding party is in full swing until it hits a major snag—the host has run out of wine. The wine was the centerpiece of the feast, and without it, the celebration would no doubt come to a grinding and embarrassing halt. But then Jesus’ mother steps in. 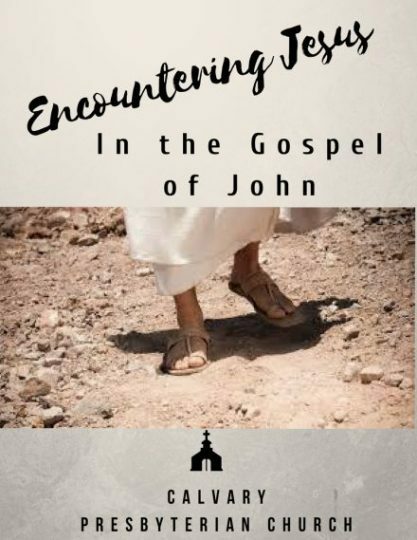 Learning of the young couple’s dilemma, she goes to find Jesus. Mary is in the right place, knows the right person and thinks it is the right time for Jesus to intervene. Jesus says otherwise, says that it is not his hour. Still, he doesn’t shut the door completely but leaves open her request for help. This encounter with her son leaves Mary with many unknowns. She does not know how Jesus will supply the need for more wine, what he will require in order to do it, or when he will act. But, the critical issue is not what, when, where or how. Mary’s calm assurance is the result of knowing who. This is perhaps the only question for which she does have an answer. She knows her son, so she is neither upset nor unnerved by Jesus’ response. She seems quietly confident that he will act on her request. Consequently, she does not leave before giving instructions to the servants to do whatever Jesus tells them to do. Scholars and lay people alike have wondered for centuries, why would Jesus make a wedding reception the setting for his first miraculous sign? Why would Jesus provide wine for a party? Wouldn’t a healing or feeding the hungry or righting some social injustice have been a more appropriate way to launch his ministry? Consider this: first, the text explicitly tells us one of the reasons for Jesus’ actions: to reveal Jesus’ glory, thereby eliciting belief among his followers. But what did Jesus mean by glory in this setting? I appreciate the insights that seminary professor Gary Neal Hansen brings to this story. He points out that the glory Jesus reveals here is not what we’re expecting. It’s not the earthly glory of a king or the divine glory of his ascension. It is not even, yet, the glory of the cross. In this story we are seeing the glory of the incarnation, of the eternal, divine Word made flesh, with all its earthly implications. We tend to think God’s glory will result in a great disruption of the human and earthly orders. But in this scene, instead of disruption, we find their fulfillment. Jesus attends the wedding of an unnamed couple, and in doing so, honors human relationships and marriage. As the Word made flesh shows up personally, family commitment is lifted up, and that is glorious. Jesus honors his mother as well, by doing what she asks of him. In the process, he lifts up both parenthood and childhood, and models how we are to honor parents in imitation of God. That is also glorious. Jesus shows his glory as he honors ordinary people, quietly, wondrously, behind-the-scenes tending to them. He honors the bridegroom whom he saves from social disgrace. He honors the servants, who would be easily ignored under most circumstances, by making them the only eyewitnesses to the miracle. Jesus also honors the creation, doing his miraculous work with the most basic of elements—stone, in the shape of jars, and water. Glory shines when the presence of the Word made flesh turns the basic into the sublime. In addition to revealing Jesus’ glory, this sign announces that God’s new kingdom has come—right here, right now, in our very midst—and it tells us something spectacular about this kingdom—that it is marked by joy and unbridled exuberance. It’s easy for us to miss the fact that the size of Jesus’ gift to the newlyweds is completely over the top. Jesus just gave this couple between 120 and 180 gallons of vintage wine—that’s the equivalent of 600-900 bottles of the best wine money can buy. Imagine trying to get home from the wine store with a present like that. The sheer volume of the gift honors human celebration itself and reminds us of the abundance that is found in Christ. Because Jesus is present, God is present. Because God is present, let the good times roll. Which begs a question of us: since Jesus has initiated a perpetual wedding feast where joy, hope and abundance are available in excess, why aren’t more of us enjoying the party? Shouldn’t smiles and laughter, stories and dancing be the order of the day when we’re together because we gather as a family, beloved by our heavenly father, forgiven, redeemed, and blessed with every spiritual blessing in the heavens? Friends, I say this with love and respect, but some of us seriously need to work on our party moves. So, this miracle reveals Jesus’ glory and announces the arrival of God’s joy-filled kingdom. Lastly, Jesus’ transformation of water to wine generates in us hope about the future. I see this at every wedding I officiate or attend, and I bet you do, too. There is so much hope and optimism about the life ahead of the newlyweds. There’s something about sharing good food and toasting the couple, watching them enjoy their first dance or share that first kiss as spouses that elicits in us a sense of hopefulness and happiness. And that imagery is repeatedly used in scripture to talk about the hope of eternity that we have in God. Isaiah puts it this way: “The Lord of hosts will make for all peoples a feast of rich food, a feast of well-aged wines, of rich food filled with marrow, of well-aged wines strained clear” (25:6). One day we will enjoy a wedding feast to beat all wedding feasts, where God’s forgiven people will celebrate their eternal, resurrected life with him in a brand new home, in a new heaven and new earth. John’s inclusion of the miracle at Cana in his gospel tells us that in Jesus the consummation of God’s promise has come closer than ever. When we look at the blood of the cross and the emptiness of the tomb, we see more than a reason to be hopeful; we see a guarantee of our hoped-for-future. We have more than a nostalgic moment. We have an undeniable destiny. And because that is true, we can aim for so much more than the fleeting optimism offered by the world. We can live hope-filled through every storm, every fight, every wilderness, every time we are having a bad day or feel out of season, because we know that Jesus Christ has fought, won and guaranteed a glorious, feast-filled future for us. Feast on that, John is saying to us, which is exactly what we’ll be doing in a few minutes when we come to the Lord’s table. We’ve focused primarily on what Jesus did at the wedding, and rightfully so. But as we prepare for communion, I want to revisit a couple of things in the story. Let’s first go back to Mary’s parting words to the servants: “do whatever he tells you.” Mary reminds us all that if we want Jesus to act in our lives, we must be prepared to do what he says. We soon see that what he says sometimes does not make obvious sense, which is often when obedience is the hardest, when it has to be mixed with faith. Remember, for the people at the wedding, the lack of wine is the problem. Jesus tells the servants to fill the jars with water. If you don’t know the end of the story, a request for so much water does not make any sense. But their compliance demonstrates that obedience to Jesus’ uncommon commands often yields uncommon results. Jesus takes an empty and inadequate situation and makes the best of it. He takes the water they have and makes the wine they need. This story exhorts us to quit looking at what we have lost or what we lack, what seems insufficient or what we do not have and look to Jesus, putting what we do have into his hands. If we have some life, a little health, a tad bit of strength, a few resources, however meager—what we have may not be the wine we need. Perhaps it is only some water; but if we bring it to him, God can do something extraordinary with it. Jesus can transform you the way he transformed that water. May it ever be so. Amen.